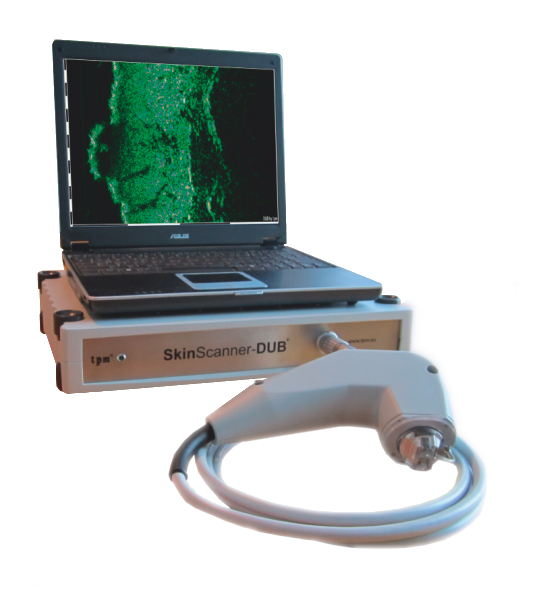 The DUB®SkinScanner systems are high frequency and high resolution diagnostic ultrasound systems for use in the dermatology, the cosmetics field, the pharmaceutical and the clinical research. Different models, versions, frequency ranges and options are available for all requirements. Today the 22 MHz diagnostic ultrasound is a wide spread method for non-invasive skin analysis. This product portfolio offers frequencies from 18 MHz to 100 MHz mostly covered by portable DUB®USB devices. This broad range of devices provides a resolution (axial) from 88 ?m to 16 ?m.